arts, at school and in life! 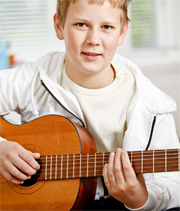 The Centre’s music department offers private instruction in piano, voice, guitar and popular instruments. Lessons are given in a variety of styles including Pop, Broadway, Jazz, Rock and Classical by professional accredited musicians. Students can start private lessons as young as five years old. Private one-on-one instruction allows students to progress at their own pace and gain the best understanding of musical techniques. Coaching and performance packages are available for students preparing for auditions and talent shows. Students have the option of participating in low pressure concerts held during the year. Vocal students age 8 and up may audition for our award winning song & dance performance group which performs locally and attends regional and national competitions! A professional and caring faculty is the cornerstone of D'Valda & Sirico's award winning programs! Learn more about the faculty and staff. See why D'Valda & Sirico is awarded "Best Dance Classes" and "Best Music Lessons" year after year. Learn more about why D'Valda & Sirico is the right choice! In a professional school environment a student cannot be distracted by TV, pets, ringing phones, siblings or anything else. With only 1/2 to one hour of lesson time per week, a professional school environment can produce better results since the only focus at that time is learning music. Students in a school environment are also motivated by hearing peers who are at different levels and by being exposed to a variety of musical instruments. The Dance and Music Centre’s sound proofed studios and state of the art equipment facilitate a student’s steady progress in a fun and creative atmosphere. For the intermediate/advanced performer, age 8 and up, motivated to take their training to next level. Studentss will have the opportunity to study with a renowned resident and guest faculty, attend regional and national competitions and participate in special performances. ​It is a challenging and fun program for the focused student committed to taking full advantage of this learning opportunity. Participation is by audition only. Visit the Competition/Company Page for more information. 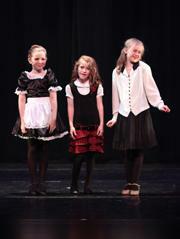 Contact the Dance and Music Centre for a free trial lesson! Visit the news and events page for information and special announcements. Check the calendar for upcoming events and holidays! Visit the News & Events page now!